Bandai Namco has announced that Dark Souls 3 will be released in April 2016 in the West, following the Japanese release on March 24. An exact date has not been specified yet but we will keep you informed of any updates. Dark Souls 3 has been confirmed to be using YEBIS 2, a well-known post-effects middleware by Silicon Studios, enabling bloom, motion blur, depth of field, as well as optical simulation of camera lenses and more. From Software used YEBIS 2 for Bloodborne with some very impressive results, and is said that it will “greatly improve” the post effects from the previous games in the Dark Souls series. Dark Souls 3 will release on Xbox One, PlayStation 4 and PC early 2016. 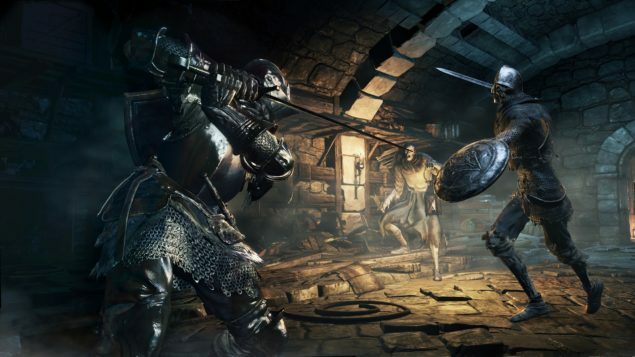 We will bring you any new information on Dark Souls 3 as soon as it becomes available.